Background: 2018 is the year of the European Cultural Heritage. 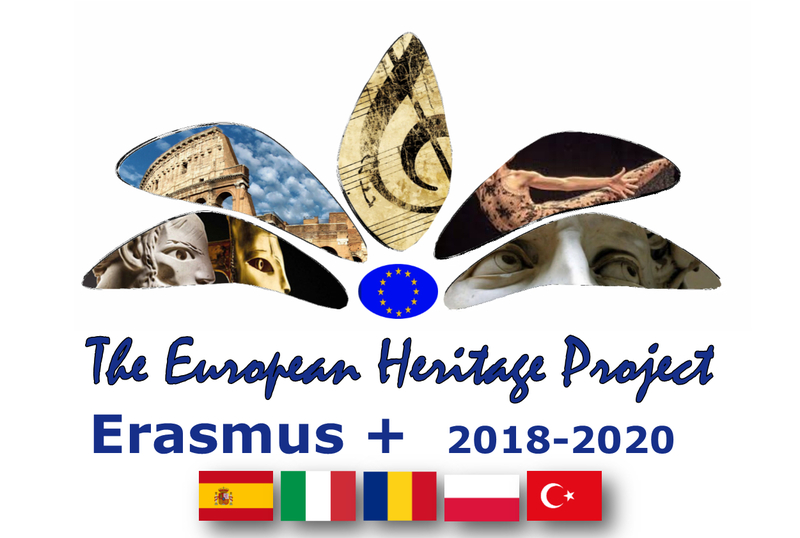 Objective: The objective is to appreciate our cultural heritage, take responsibility for it and enhance common European values to become better European citizens. The project also aims at promoting high-quality skills and competences: especially language skills, and ICT and music competences. Participants: 25 students between 9 and 16 years old will participate in each school. Activities: Each partner country will collaboratively work on and share a literary work, choose a period and a character and collaboratively write an act for a play which will be staged using a monument as part of the stage background.There will be 5 acts in the play, each taking part in a different country having different monuments as part of the stage. When students travel to partner countries, they will perform an act of the play together with visiting students. The content of the act will highlight a European value. They will perform live music for the play which they have worked on collaboratively before. When they return home, they will have to share their experiences with their fellow students. The methodology to be used is cooperative learning and problem-based learning. The result will be a play which will be recorded on video and a webpage where activities, events, vlogs and tutorials will be posted. The output and progress of the project will be published in the school magazine, school website and social networks. An international programs department will be created and will have a stand in all school events to inform the school community about the project. Also dissemination will be done to the general public when the play is performed. Sustainability: After we finish the project, we will have the know-how to implement more challenging drama and music projects in our schools. Developing and strengthening language skills and ICT skills of pupils and also teachers as well as international cooperation and strengthening multiculturalism are the qualitative project outputs. Our partnership offer is to promote and explore music, drama, traditions, creativity, and the use of language in a variety of European schools and cultures, thus enriching future lessons in each school.